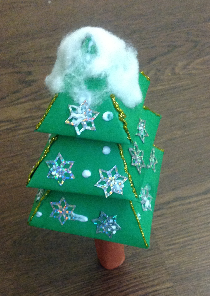 Looking for 3d paper Christmas tree craft for Christmas decoration? 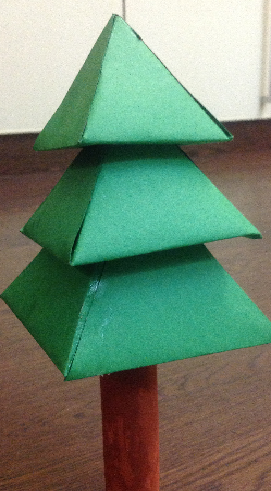 Read on to get step by step guide with pictures to learn how to make 3d paper Christmas tree. You can use this Christmas tree for decoration and also gift them to your loved ones as Christmas party favor. 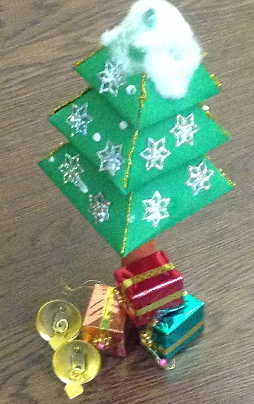 paper Christmas tree is very easy to make and can be used in all types of Christmas decoration. Steps to make 3d paper Christmas tree are given below with pictures, so collect the material and make as many as Christmas you required and make your Christmas decoration complete. 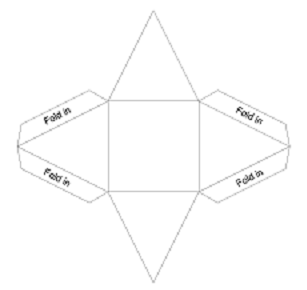 -	First draw the following figure on green card board to make pyramid for Christmas tree. Make three drawings of pyramid of varying sizes. Like shown below and cut them. 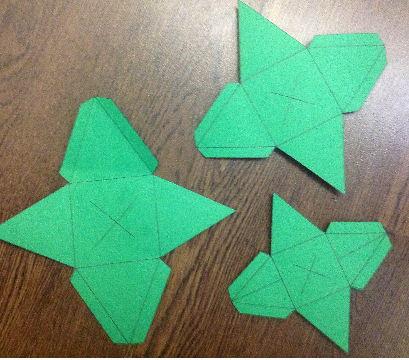 With the help of craft knife make cross slits following the "X" lines at the center of each square pyramid. 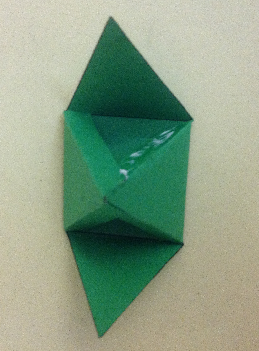 -	Fold the triangles of the pyramids inward and then unfold to get a properly creased base. 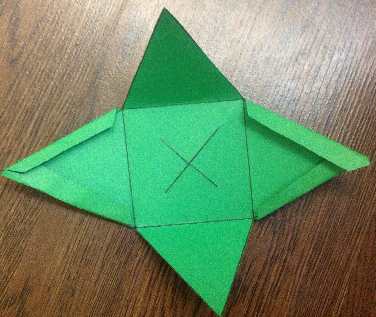 There are two triangles which have a pair of side tabs. 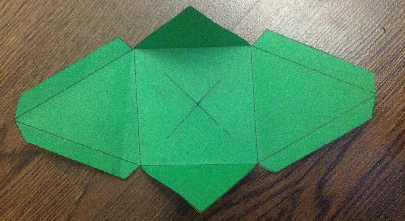 Fold each side tab inwards. -	Make other two pyramids in the same way. -	Glue each pyramid in descending order (in terms of the size) by applying the glue connecting the four corners of the cross slits. Push down the pyramids so that the tip of the large pyramid is pushed inside the cross slits of the middle-sized pyramid and middle-sized pyramid inside the small pyramid. The glue applied at the four corners of the cross slits will bind the pyramids permanently together. 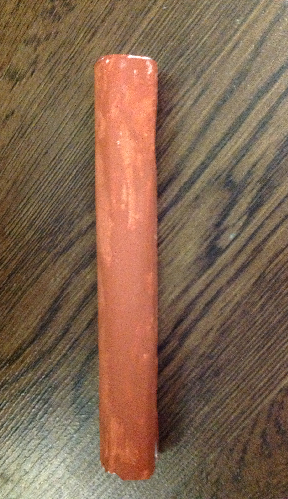 -	Make a paper roll like shown below or insert a toilet paper tube through the cross slits until its top touches the inside walls of the large pyramid to make a stem. -	Your Christmas tree is ready for decoration. Decorate it with cotton and plastic stars or any other decorative material you like. This is really nice creativity. I like the X-mas tree.